The Northeast Catholic College Choir Sang at the National Shrine of the Divine Mercy on Divine Mercy Sunday. 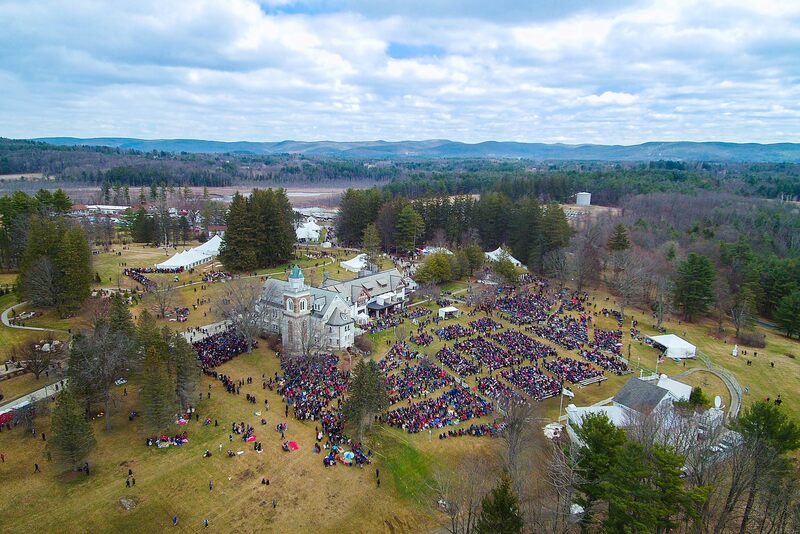 The Mass was attended by 18,000 pilgrims and was broadcast around the world by EWTN. The NCC Choir sang with Dana, the world-renowned singer from Ireland. They collaborated on a world premiere of a sung version of the Divine Mercy Chaplet, which was sung while the Blessed Sacrament was exposed at the conclusion of Mass. NCC student Tristan Smith ’18 was the organist for the Mass. Paul Yeom ’19 was the cantor and Olivia Syphan ’19 was the psalmist. 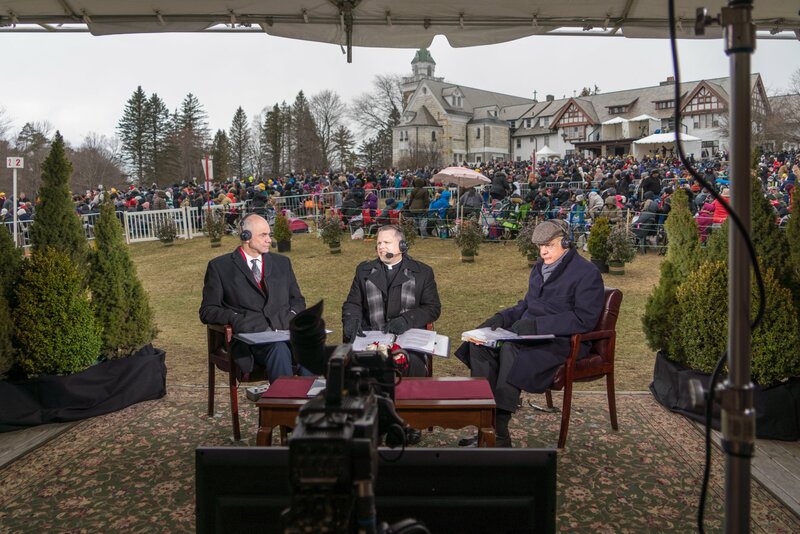 Prior to the broadcast of the Mass, Dr. George Harne, NCC’s president, was interviewed as part of the EWTN pre-show. He spoke about the Millennial Generation and how the message of Divine Mercy can resonate well with them. A recording of the live broadcast can be viewed on Facebook at https://www.facebook.com/DivineMercyOfficial/videos/1916195385081975/. The NCC Choir has been invited back to sing for Divine Mercy Sunday 2019. Explore our website to learn more about Northeast Catholic College or contact Leah Palmer at [email protected] for admissions information.